If you’re anything like us PubCrawlers, you appreciate some well-delivered snark. Even more so if it revolves around books and reading. 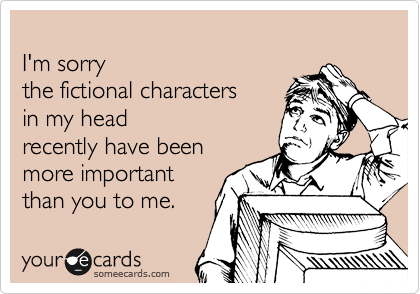 Well, someecards does snark like no other and I thought we could indulge in a “best of” collection to celebrate the end of the week. 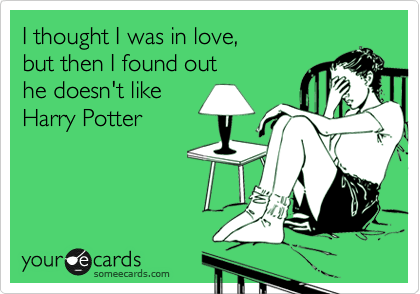 Passions leads to extremes, I suppose, and these e-cards let us laugh at our own bookish obsessions. Do any of these stand out to you as particularly honest? 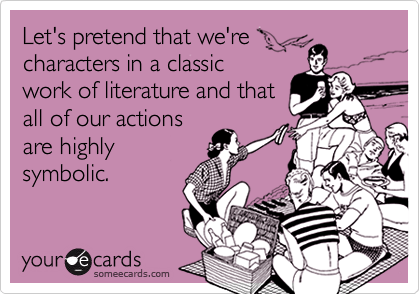 Or, do you have any favorite literary humor websites? What about literary humor books? Let us know in the comments, and you can WIN a copy of Annie Lamott’s famous Bird by Bird! This is one of our favorite guides to the writing life because not only is so true, but it’s also hilarious—just like these ecards! I am a chronic victim of book hangovers! 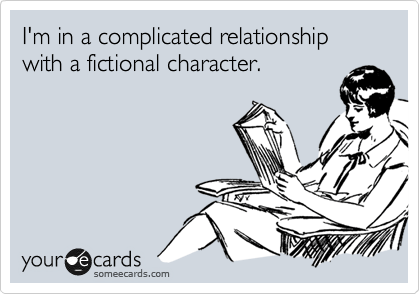 I’m still too drunk from the Game of Thrones series to consider reading anything else… And I’m in a fairly committed fictional relationship with Jon Snow. Love the e-card reassuring me that I’m not the only one! My favourite literature humour book is Twitterature – classic literature retold for a modern audience, in a series of 140 character tweets. Hilarious! I don’t care about the reading so much, but many people seem to think that writing is an activity I can just pick up and put down, and get interrupted in repeatedly. Hello? Why do you think I get up at 5? I guess I rely on other people for all of my writing memes. I get mine on Pinterest and FB. Book hangover. That’s me after I just reread Daughter of Smoke and Bone in preparation for Days of Blook and Startlight. Soooo beautiful and heartbreaking! For me, it was the one about the inability to start a new book because I’m still living in the other book’s world. Whew, I went through an intense period of sadness after Deathly Hallows…took me while to pick up another book. I didn’t want to let go. I’ve been secretly hoping she’d write about Harry’s parents haha – Lily and James. I LOVE reading fanfiction about them. Alas, book humor…hmmm WELL I bought a cute little magnet at a Book Festival in Toronto and it says “I like the company of people…but I much prefer books’ and the girl is seated in a chair surrounded by shelves and shelves of books hahah.. I have a tote bag with that quote on it! 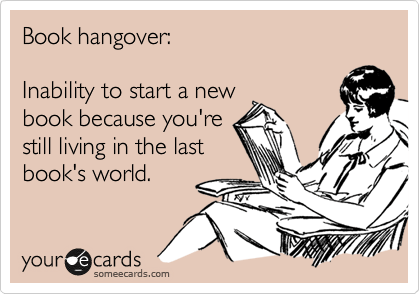 The book hangover one is so true for me. I always have to lay down on think for a while after I’m done reading, and if it’s a really, really good book I have to take a few days before I can start a new one. I have not yet gotten over The Raven Boys by Maggie Stiefvater. The Raven Boys was so atmospheric. I would have been happy soaking up those words and that world for AGES. Jen Campbell’s WEIRD THINGS CUSTOMERS SAY IN BOOKSTORES is awesomely hilarious, and it’s full of cute and funny little illustrations too! lol. I loved today’s post! These are so funny and SO true, especially the Harry Potter one. The card about Harry Potter is totally true about me. I (secretly) judge people based on whether or not they’ve read, seen or know about Harry Potter. If they don’t like the series, or if they have decidedly negative opinions about it, well, trust me, it’s difficult to have any sort of relationship with that person. Thank goodness my husband-to-be loves the series as much as I do! 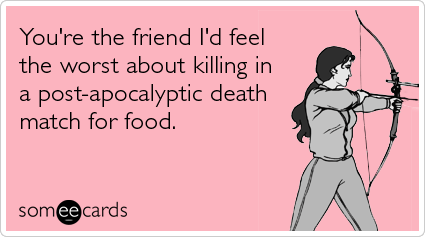 I love someecards! The card when people see you reading and still find the need to interrupt you just kills me, and the other card, the one about a book hangover is so true. I can just get so caught up into a book’s world that I have trouble reading something else if I truly love the book. 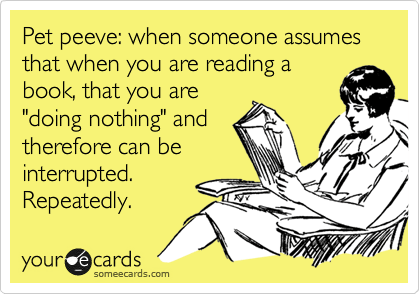 The Pet Peeve about reading being doing nothing. That’s my family’s attitude toward reading. These cards were great-especially the book hangover and people assuming because we’re reading we can be repeatedly interrupted. I don’t have a favorite humor writing site, so I’m happily checking out all the comments. My biggest pet peeve is when people assume reading is “doing nothing” or when my roommate asks me how my writing is going and starts to tell me about his day all while I’m trying to write. Way to break my concentration! The most honest one for me was the one about giving up relationships (3rd one). those characters do get hold on our lives, and being a writer is more often than not – being alone. Thanks! 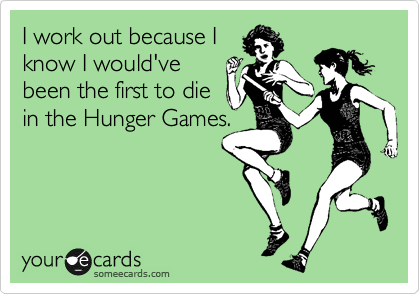 The only reason I am ever motivated to work out is when I remember that the zombie apocalypse could hit at any time. I love all of these.